Preheat your Yoder Smokers YS640 to 375°F. Lightly grease a 9" spring form cake pan. Cut a piece of parchment paper to fit, grease it, and lay it in the bottom of the pan. For the torte: Put the chocolate and butter in a metal bowl, then place that bowl on top of a pan of simmering water (make sure the bottom of the bowl is not touching the simmering water). 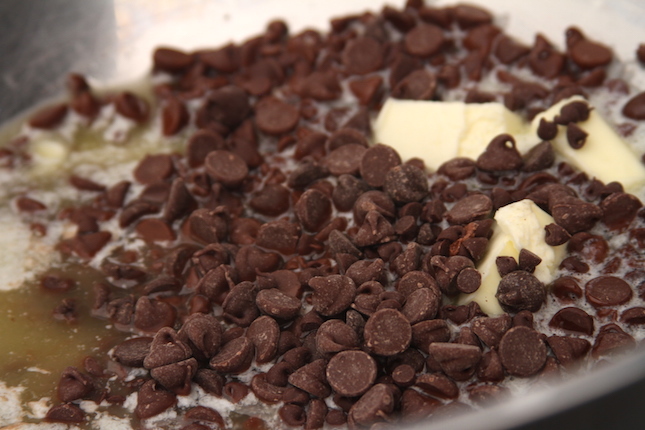 Heat until butter and chocolate are melted, then whisk until smooth. Stir in the sugar, salt, espresso powder, and Kahlua. Add the eggs, beating briefly until smooth. Add the cocoa powder, and mix just to combine. Pour the batter into the prepared pan and use a spatula to spread evenly. 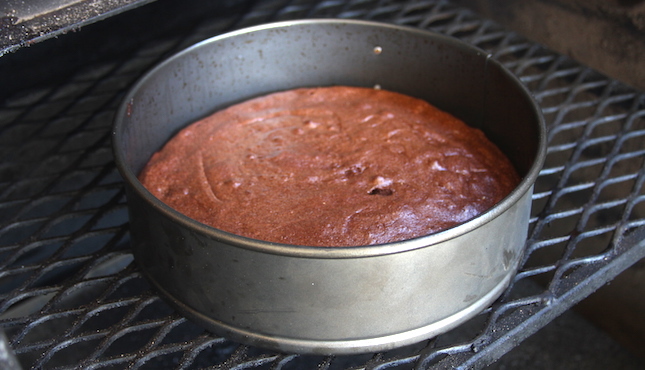 Bake the cake on the second shelf for about 25 minutes, until an instant read thermometer reads 200ºF in the center. Check the temperature with an instant read thermometer like the Maverick PT-100. Remove it from the oven, and let it cool completely. De-pan the cake and transfer to a serving platter. 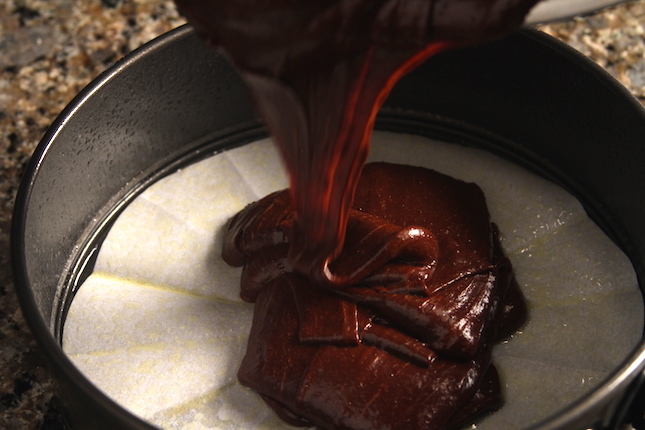 To make the glaze: Place the chocolate in a metal bowl. Heat the cream on the stove top. Bring to a boil, then pour over the chocolate. Whisk until chocolate is melted and glaze is smooth. If you need more heat to melt the chocolate, you can use a double boiler like you did in step 2. 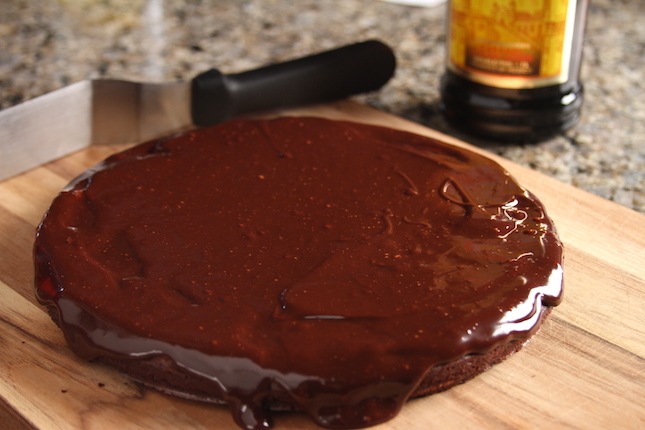 Pour the glaze over the cake, spreading it to cover the sides as well. Allow the glaze to set in the fridge before serving. 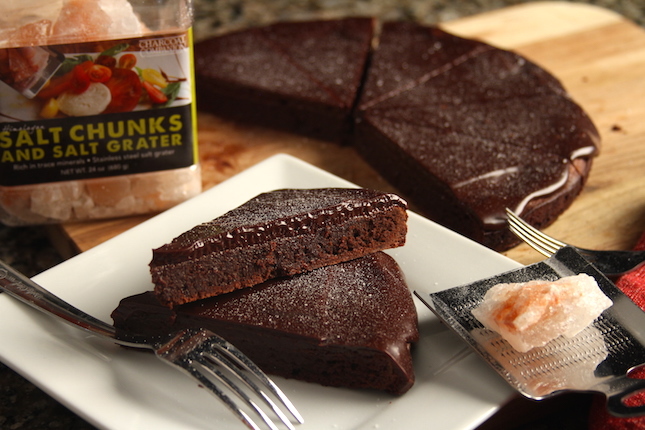 Just before serving, grate a light dusting of Himalayan Salt Chunks over the torte.